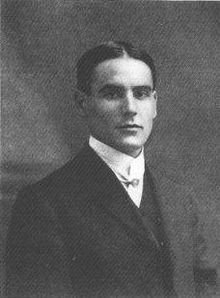 A few days ago, I posted a call for help in locating what might possibly be two new (or forgotten) poems by William Hope Hodgson. It is testimony to the good graces of the many readers of this blog that copies of the pages in question have been located! Many thanks go to Dennis Lien for providing the copies and also to Andy Robertson for providing transcriptions of the two poems. The question of the authorship of these poems is still unresolved. Dennis Lien states that there is nothing within the magazine itself to identify “W.H.H” and it is not impossible that another poet, unaware of Hodgson, used these initials. This poem, “The New Gregorian Chant”, is not similar to any other themes in Hodgson’s poetry which is a strike against his authorship. Also, Hodgson did not publish anything (that we are aware of) in this magazine, Picture Politics. Strike two. Finally, these poems appeared in the June-July 1902 issue of that magazine. This was a period when Hodgson was busy with his “School of Physical Culture” and the only verifiable publications during that time were newspaper ‘notices’ and a few articles about exercise. Now, it is entirely possible that Hodgson was writing poetry as early as this and that this was an early example. There is not enough evidence to make a conclusive ruling. I present this poem here and the other poem, perhaps more nautical, will follow in the next posting. Again, thanks to Dennis Lien and Andy Robertson for their kind assistance in unearthing this material. “School Boards have been a great misfortune all over the country; they have lowered the tone of morality and increased the amount of crime.” –Dean of St. Paul’s. Enter DEAN GREGORY, with chorus of Cabinet Ministers, and, as “corner men,” SIR JOHN GORST (tambourine) and MR. ATHELSTAND RILEY (bones). That was Old England’s Age of Gold. Algebra brings an honest name. Was left by learning in the lurch. But, all ye country vicars, shout! A Balfour wipes that School Board out. And teach them Church—High Church—is truth. I’m not convinced: the style, subject matter, diction and worldview are miles away from the other poetry by Hodgson. Further, the eye dialect does not match that used by Hodgson, nor do the politics. What are needed are attribution studies based on word and letter frequency. I agree! However, that is beyond my skill set!